Starting a Skype group call, or a conference call as many call it, is quite easy and straightforward, but you require to check certain things first. 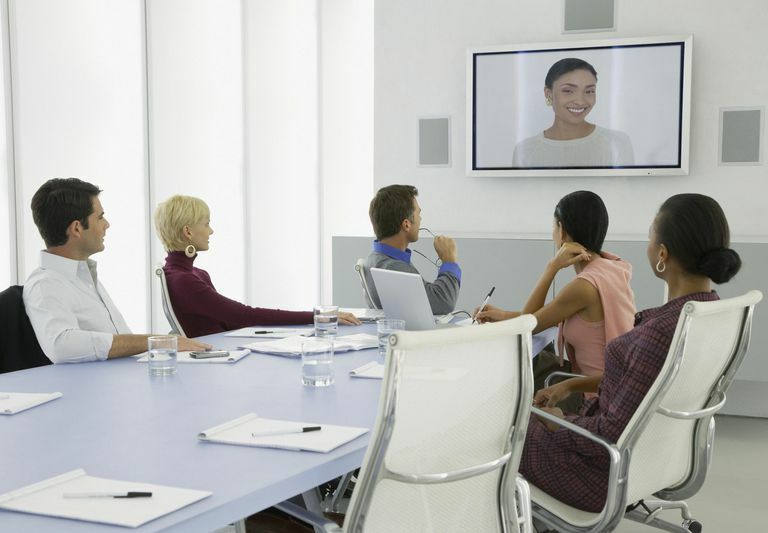 The requirements for a good conference call vary depending on whether you are conducting a voice or a video conference call. A Skype account. Your free account is sufficient to hold conference calls with up to 25 participants. The Skype software on your computer or mobile device. Make sure that it is the latest version available. Check with the Skype site and update, which is quite quick and easy. People in your contact list that are willing to participate in a conference calling. You need to have their numbers or Skype names. See who can participate in a Skype call. Note that you will require some Skype credit if any of the persons in the group is not a Skype user or is not able to use Skype during the call, in which case the call to the mobile or landline phone is paid. A decent Internet connection. A DSL line will do for crisp call quality. But the other participants need to have the same, for a poor connection can affect the voice quality of the call. Audio input and output devices. A headset is ideal but speakers and microphone will just do. Each of the participants can test their audio with the Skype Call Testing feature. A Skype account. Your free account allows only 4 people in a video call. For up to 10 people, you have to upgrade to the paid Skype premium plan. The Skype software on your computer or mobile device. Make sure your software has video calling capability, as some versions for mobile phones are short of some features. Your buddies, who are other Skype users. They have to be online and need to have a good Internet connection. They also need to have decent video hardware and have it activated. A good Internet connection. Good video quality depends a lot on the connection. Here, consider a minimum of 512 kbps per user. For crisp HD video quality, consider having 1 Mbps per user. Everyone needs to have a good Internet connection with sufficient bandwidth for good quality. Keep this mind if you are holding meetings over devices connecting over a data plan where you pay for each MB used. This is not a good idea. Bear in mind that among the VoIP services, Skype consumes the most data during calls, especially video calls, as it offers HD quality. Powerful processor and sufficient amount of RAM to process the graphics. A good webcam. For high definition, you and the other participants need to consider acquiring a Skype HD webcam. Audio input and output devices. Skype conference calls cost nothing as long as there are no more than 25 participants for voice calls and 4 for video calls. How Much Bandwidth is Required for Skype HD Video Call?